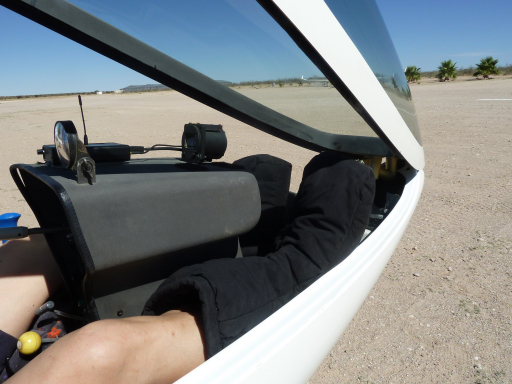 Matt black we have taken so that the SkyBoots™ in aircraft such as the DG in the canopy does not reflect. For all others we offer a small limited edition in a noble matt gray! The logical next step in the development of our overshoes was to work with technical textiles. So we use for the 4G high-quality softshell material, as it is known from modern outdoor clothing. 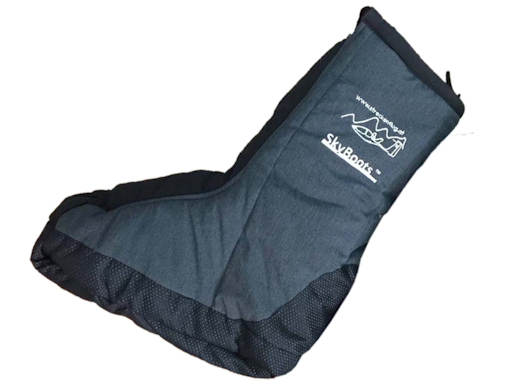 Due to the multi-layer membrane, the SkyBoots™ 4G are more breathable, have a higher wearing comfort, are thinner because less filling is necessary, super pleasant to attack, water repellent, if you have to go through the damp meadow to fly, dirt repellent and absolutely easy to clean! In addition, a rubberized sole with nubs, for better grip when get in and out of the cockpit. The sole becomes even better before e.g. protected by small stones. When flying in high altitudes, waves or the mountains warm feet are like winning half the battle. These boots filled with synthetic fiber provide the comfort you need. You just put the SkyBoots™ around your normal shoes. The front entry with double Velcro® fastener provides a simple introduction. The additional sole on the boots is made of tough nylon fabric and prevents them from fraying out, so they can be put on outside the airplane. 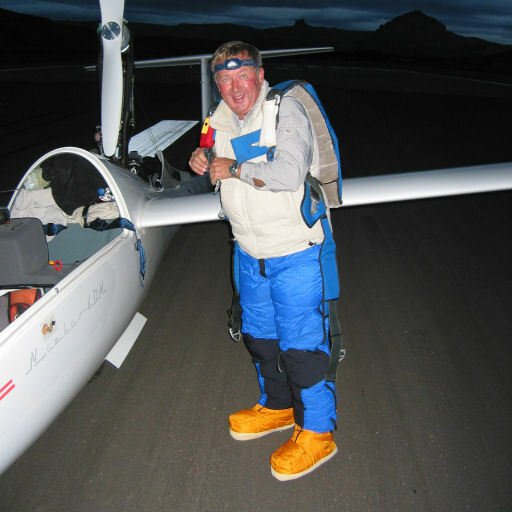 The overshoe has been tested by pilots like Wolfgang Janowitsch, Hermann Trimmel and Peter Hartmann who all swear on it. 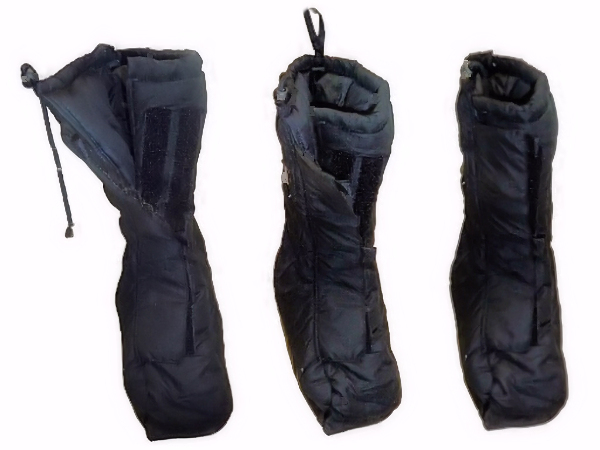 Many pilots have been using them for many years, are delighted and leave their heating soles at home! 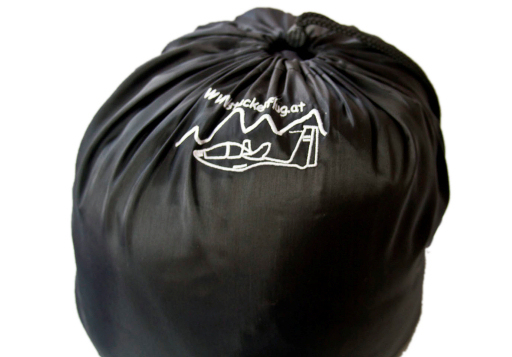 Can be stowed away like a mini sleeping-bag - easy and compact! help him to fight the freezing temperatures successfully!